This project required a complete overhaul on the existing website. Elements from the existing design were incorporated into the updated website in order to stay true to the original style while providing an improved presentation. One of the most significant features of the update was the inclusion of a responsive design, providing visitors a fantastic user experience on smartphones and desktops alike. Potential customers can access this website from any device and the website will automatically change the layout to provide an ideal presentation on devices of any size. 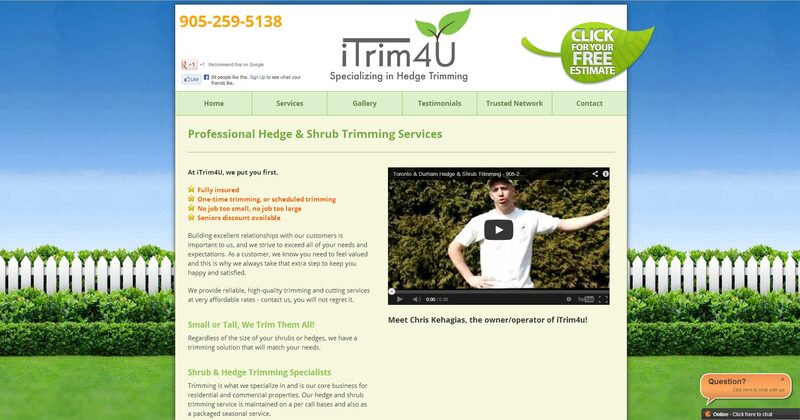 Since this small business provides landscaping services, their website also includes a photo gallery showcasing their work. 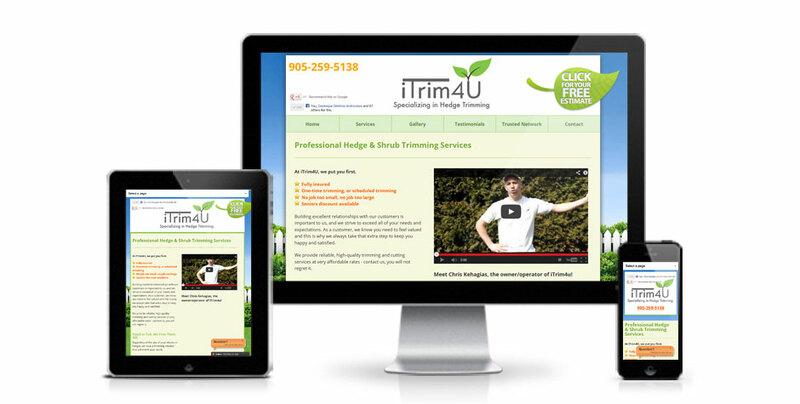 This small business is run by one individual and the inclusion of a video on their homepage serves to introduce the owner and engage website visitors. In order to provide exceptional customer service, this website incorporates Zopim which is a fairly popular online chat service. If a visitor has a question the business owner can respond immediately. We started with a website that was mediocre and a lot of advertising costs, that was until we found Adam, he has changed our website to a true professional site and with that came new clientele and now we can lower our advertising costs because clients are finding our website easily! Adam is a true professional and we will happily refer him, we will use him for any changes year after year!